Replacement grease seals. Double-lip design helps keep water out and grease in. Lowest Prices for the best trailer bearings races seals caps from etrailer. Grease Seal - Double Lip - ID 1.719" / OD 2.565" - for 3,500-lb Axles - Qty 2 part number RG06-050 can be ordered online at etrailer.com or call 800-298-8924 for expert service. 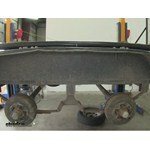 Today, well be repacking the bearings on this trailer. To aid in this, well be using Part Number rg06-050, the Double-Lip Grease Seal. 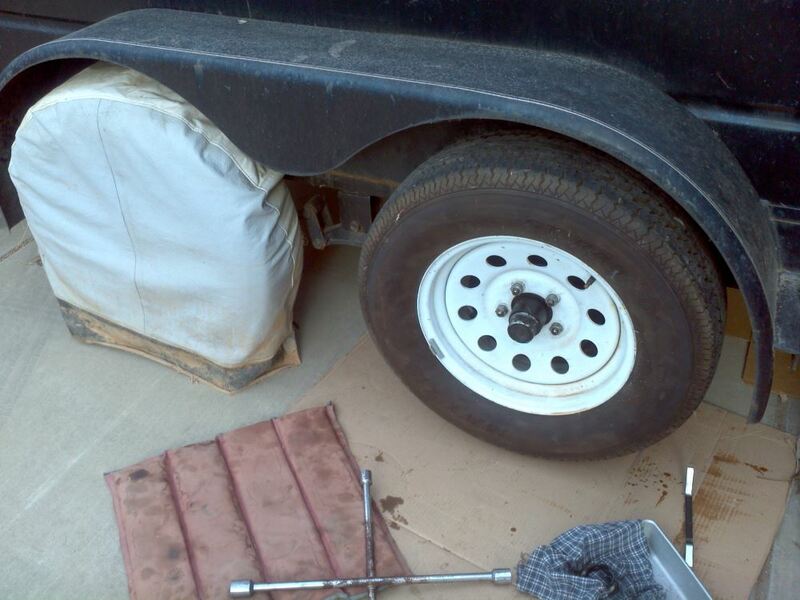 To begin with, youll want to remove the wheel from the hub, or in this case, it is a brake drum, as this trailer has four-wheel brakes all the way around. Now that the wheels been removed, well go ahead and remove the dust cap. With the dust cap removed, youll see that theres a cotter pin that runs through the castle nut. Youll need to remove this cotter pin. With the cotter pin out, next well go ahead and back the castle nut off. Behind the castle nut, there will be a flat washer as well as the outer bearing. You need to get the flat washer off and then pull gently on the drum to get the outer bearing to slide off the spindle. 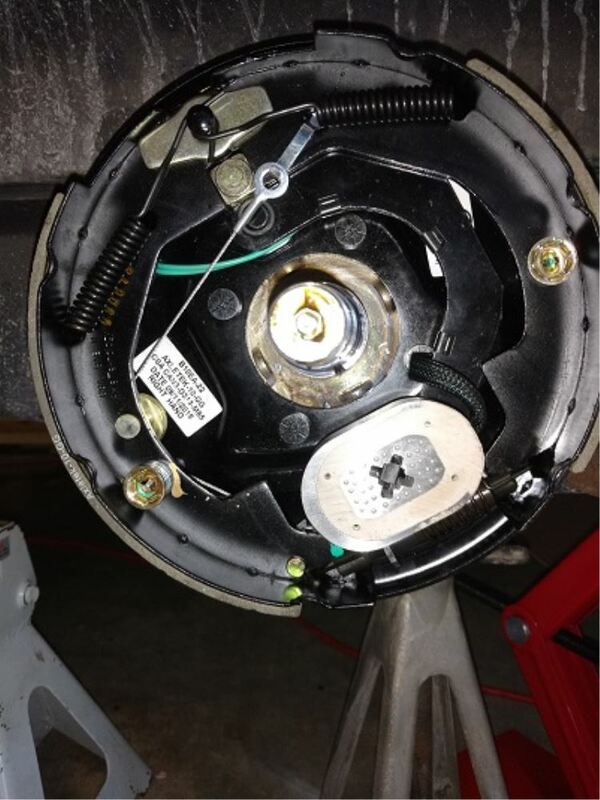 Now that we have the drum off, youll need to go ahead and work the old seal out that holds the inner bearing in. To do this, you can use a flat-head screwdriver or a pry bar. As you are removing this seal, it will damage the seal, but dont worry about it, as you will not reuse it. 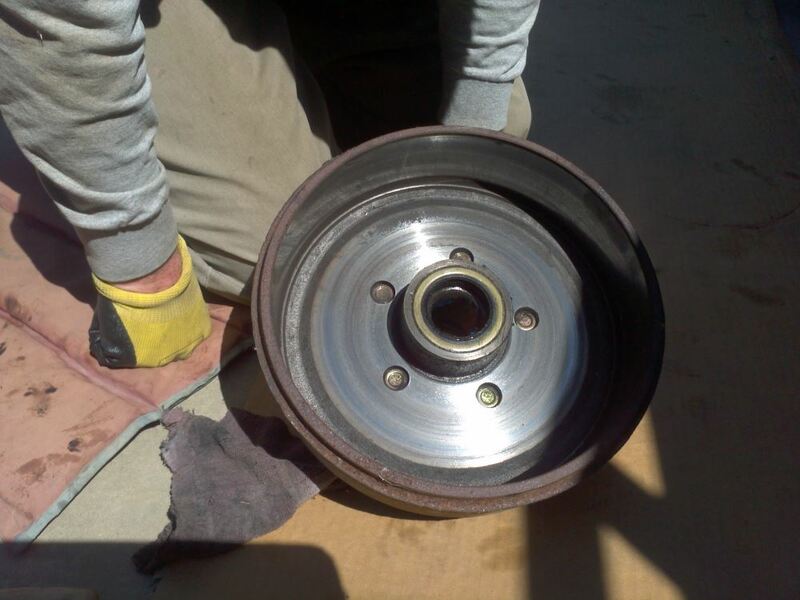 Now that you have the seal out, go ahead and pull the inner bearing out. 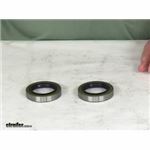 Youll want to go ahead and clean both of the bearings off, both the inner and outer and inspect them for any unusual wear or pitting or marking on the bearing. While youre at it, go ahead and check the inner hub, too, both of the races, the inner and outer. You want to clean them out and look for any marking or pitting or any areas where it looks like they may have gotten hot and may need to be replaced. 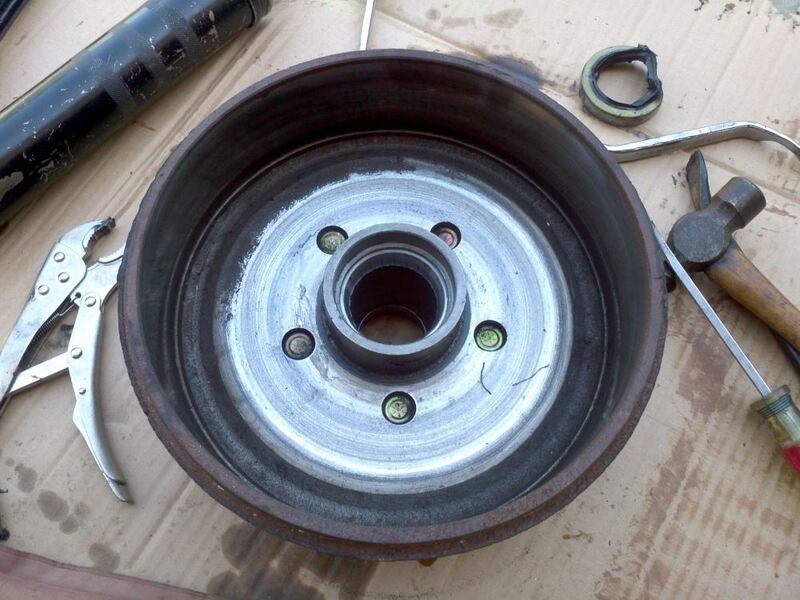 Next, well go ahead and make sure that weve cleaned the bearings up nice and go ahead and repack both of the bearings. 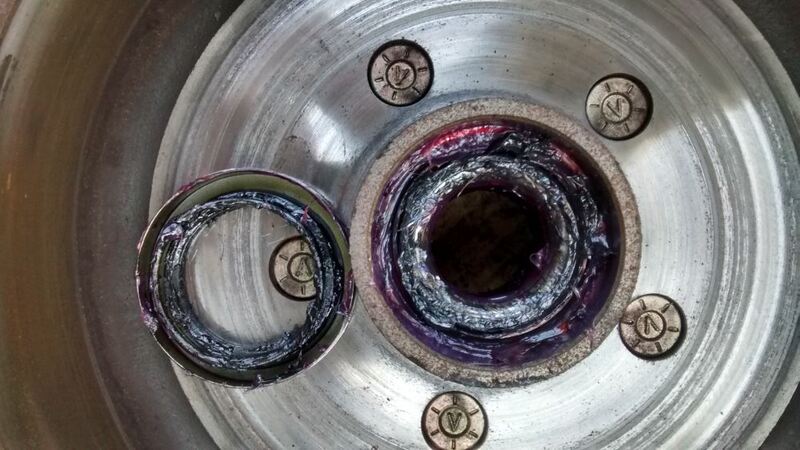 With that done, well go ahead and put a little grease into the hub on both sides, making sure that we go ahead and put ample grease on both of the races. Youll also want to go ahead and make sure you put a little grease on the spindle to help aid in sliding the new grease seal on. Now were ready to go ahead and put our rear bearing back into the hub. To do this, you drop it back into place and set the new double-lip seal over the top of it. It helps if you use a block of wood and a rubber mallet, or a block of wood and a hammer to help tap the seal back into place. You want to make sure that it goes flush with the rear of the hub. Now with that in, were ready to go ahead and put our hub back onto our spindle. Once thats done, well place the hub back on the spindle. Once we have that in place, well go ahead and slide the front bearing back in, followed by the flat washer, and then thread the castle nut back on. Once you get the castle nut back on and youre getting it tightened down, go ahead and spin the hub a little bit. You want it to still spin freely but not have any excessive play in it. Once you have this lined up, youll need to make sure that the castle nut lines up with the holes so you can put the cotter pin back in place. In this case, we went ahead and used a new cotter pin as our old one was pretty bent up. 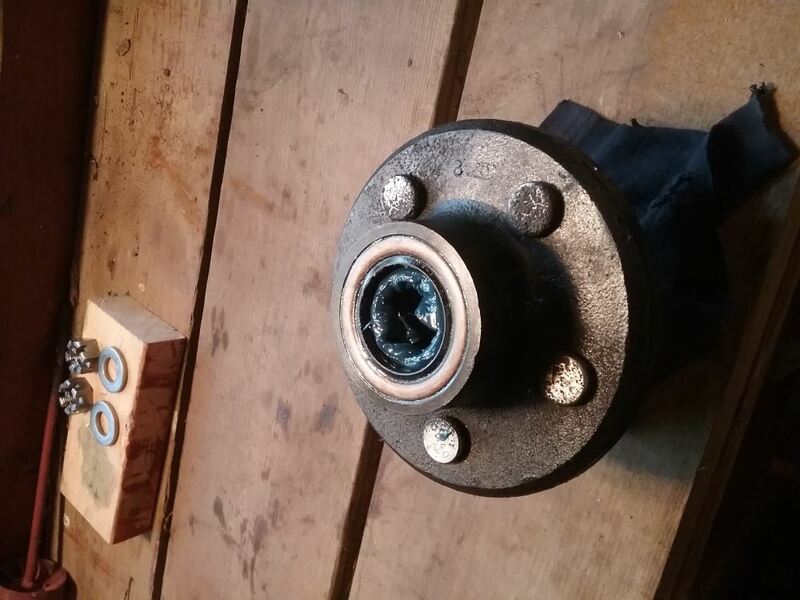 With that done, well go ahead and put the dust cover back on, and that will complete our bearing repack on this trailer with 3,500-pound axles as well as brakes using the True-Ride Double-Lip Bearing Seal, Part Number rg06-050. 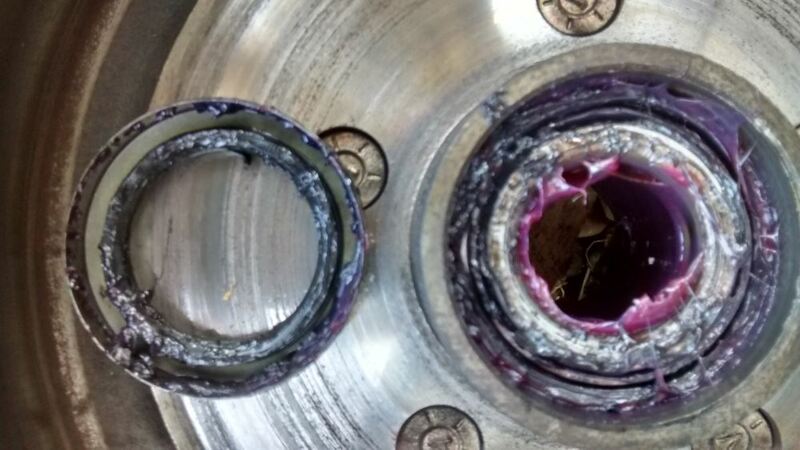 Order: RelevanceNewestRating - High to LowRating - Low to High Replacement grease seals. Double-lip design helps keep water out and grease in. Still rolling around just fine. Thanks for taking the time to follow up with me. Ive only put a few hundred miles of use on the trailer but everything is working great. Ive actually recommended etrailer to my father, a friend of mine and anyone at work who would listen made easier by the fact that I had everything I ordered shipped to my job instead of home. Barring an emergency situation that requires an immediate solution you have my business in the future. Just took a 4000 mile trip and seals worked exactly the way they are designed. Great product! The grease seals have worked as expected over the past year. Thanks again for the accurate and complete information on your website as well as your excellent customer service. I expect to visit your website in the future for products for my trailer and vehicles. Seals are perfect Would go to e-trailer first next time. Seals are still performing well- great product, excellent fit! Thanks again for Etrailers fantastic service. We have the bearings and seals you would need for your 4,400 lb axle. It would be inner bearing # L68149 with race # L68111, outer bearing # LM67048 with race # LM67010 and grease seal # RG06-050. You can find the prices of these parts on their product pages. I've added links of video reviews of these products for you to take a look at as well. 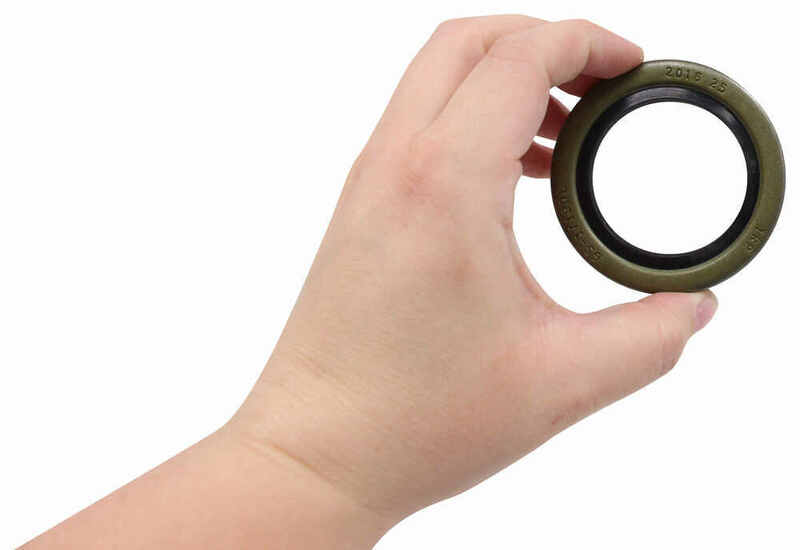 You'll want to make sure your bearing numbers and dimensions match but for a Dexter 4,400 pound axle you should need inner bearing # L68149 which is 1.378 inches with race # L68111, and outer bearing # LM67048 that is 1.250 inches with race # LM67010. The seal is # RG06-050. If you need the entire hub assembly with a 6 on 5-1/2 bolt pattern it's # 8-407-5UC3-EZ. The hub grease seal you can use for a hub with inner bearing # L68149 and outer bearing # L44649 is part # RG06-050. 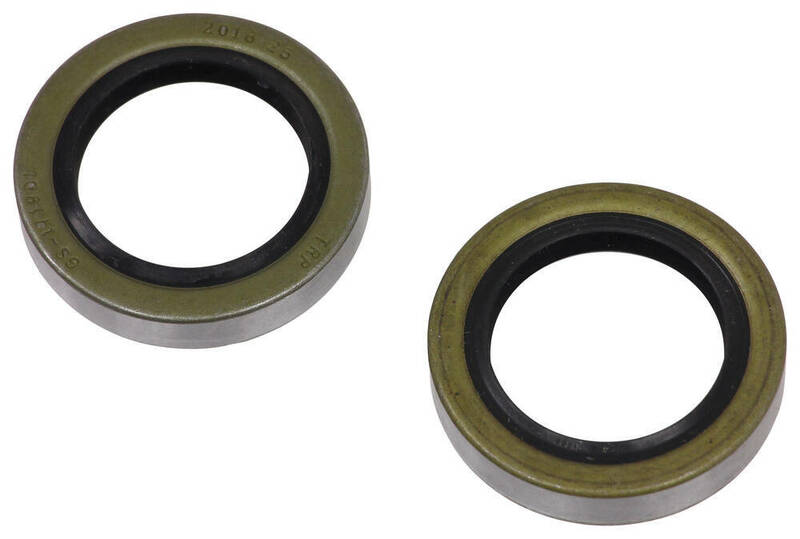 This is a set of two double-lip seals with an inner diameter of 1.719-inches and an outer diameter of 2.565-inches. You'll need to order two kits. These seals fit 3500-lb axles. We have the bearings you are looking for. You would want part # LM48548 and # L44649. These are not identical though. Then for a grease seal set you'd want the part # RG06-050. Sounds like you have the trailer hub part # 8-247-50UC3-EZ installed on your trailer. That means for a grease seal you would need the part # RG06-050. That is most likely a Tie Down hub which while we don't carry that exact brand we most likely have what you need. Since the stud and bearings need replacing it might make more sense just to replace the hub since idler hubs like what you have are pretty inexpensive. Can you get me the bearing numbers or the dimensions of the spindle where the bearings and seal ride? 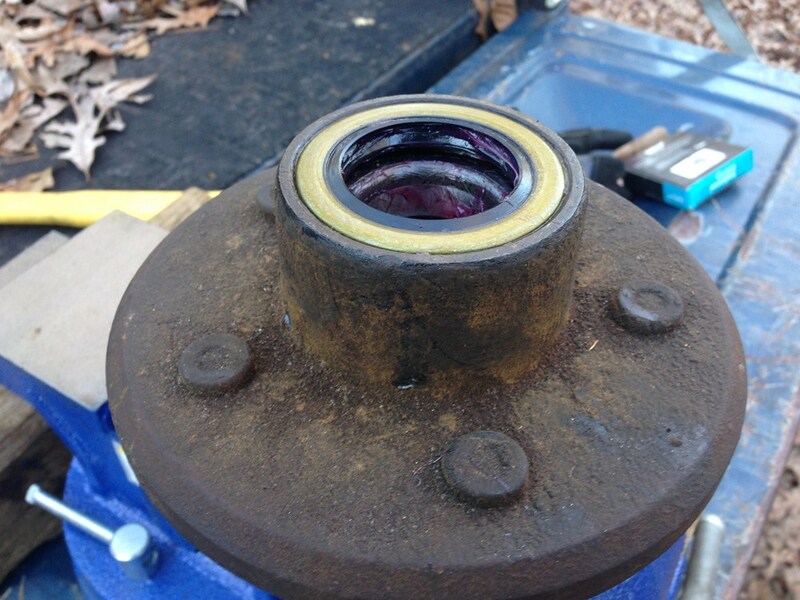 The inner bearing for your Titan # T4841100182 is the Replacement Trailer Hub Bearing # L68149 and the outer bearing is Replacement Trailer Hub Bearing # L44649. 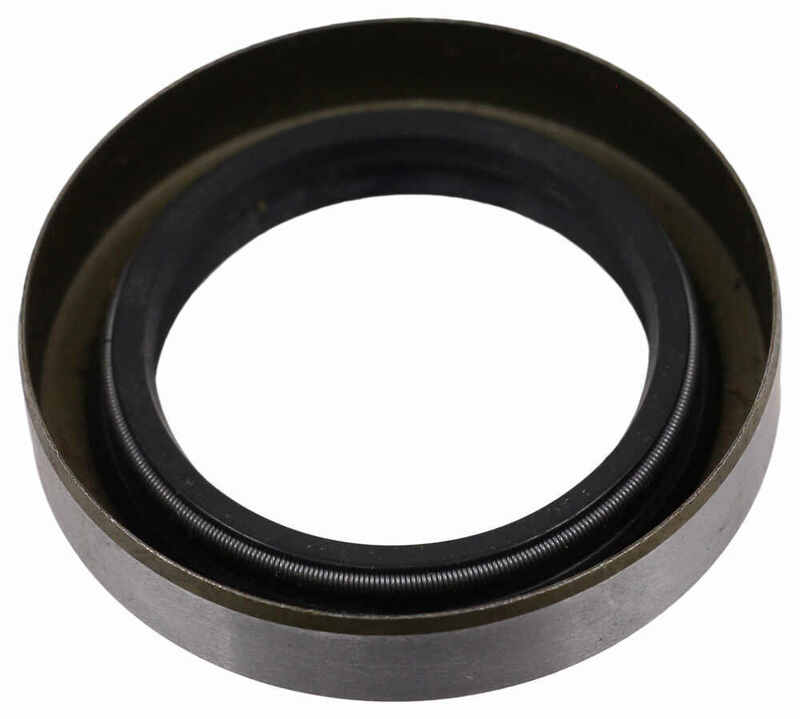 If you need the seal, the replacement seal is # RG06-050. For your brake pads, I recommend the Replacement Brake Pads for Titan 10" and 12" Disc Brake Assemblies # T4870900. These are a confirmed fit. Yes. The hub group associated with the Dexter D35 axles use 10-19 seals. 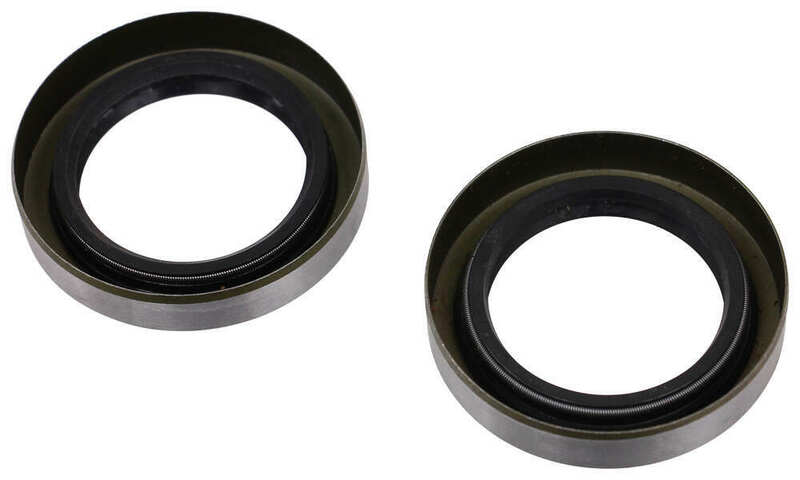 Set # RG06-050 includes two 10-19 seals. I have linked a video review of these seals for you. We do offer hub assemblies that come complete with inner and outer bearings, races and seals. But if you know your existing bearing part number you can order the exact replacement. For bearing number L68149 you will order part # L68149, race # L68111 and grease seal # RG06-050. For grease you can use LubriMatic Marine Trailer Wheel Bearing Grease # L11404. I have linked an article and video that will be helpful to you in replacing your bearings. The two seals you mentioned are pretty close in size but the part # 168255TB has a slightly smaller inner diameter. In nearly all cases for trailer spindles the correct seal would be the part # RG06-050 (171255TB) since trailer spindles will typically have an outer diameter of 1.73 inches. The slightly tighter seal could maybe work in but the best way to tell is to measure the spindle where the seal rides. If its 1.73 the 171255TB is the correct one. The races of the part # KH84545S are installed but the bearings and seal are sold separately. It calls for a # L68149 and # L44649 and then for a seal part # RG06-050 which all match what you say you need.